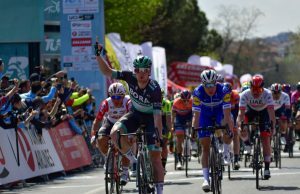 Max Schachmann (BORA – hansgrohe) won the third stage of the Tour of the Basque Country and has extended his lead in the general classification. 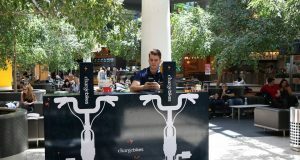 The riders faced a relatively demanding parcours of almost 192 kilometres in length. After the riders departed Sarriguren, they traversed a 9-kilometre long second category climb up to Goñi, with an average gradient of 4.7 per cent. Afterwards, the parcours was relatively hilly until reaching the climb to Opakua, a third category ascent, which was followed by a long descent. In the finale, the course climbed for 2 kilometres to the finish line in Estibaliz. 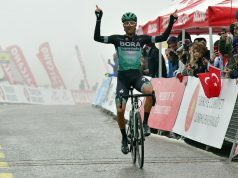 An eight rider strong breakaway led the race for most of the day and the peloton conceded not more than around four minutes during the day. With 60 km of the race remaining, the leading group’s advantage had been whittled down to around 1’30”. On the ascent to Opakua, Team Sky took greater responsibility for setting the pace in the main field, and the gap to the reduced breakaway group began to reduce slowly. 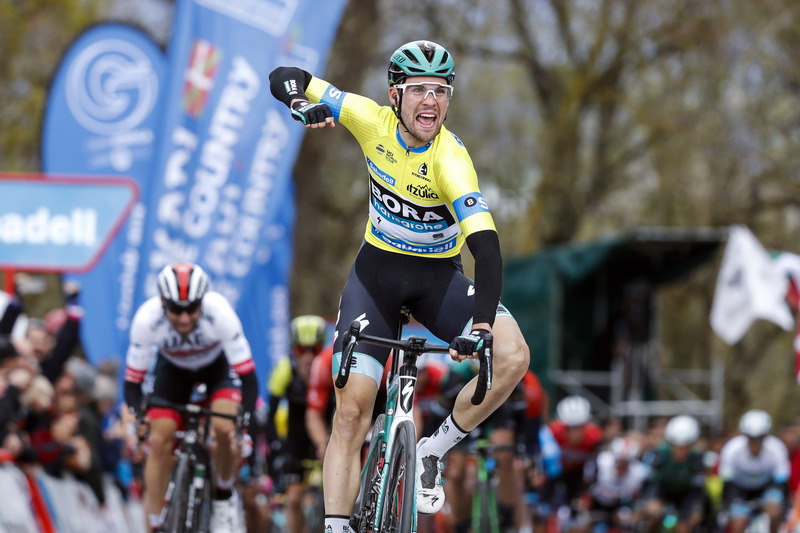 With 15 km to go, BORA – hansgrohe came to the front with Jay McCarthy and Pawel Polanski in order to control the tempo and bring Max Schachmann into a good position for the finale. 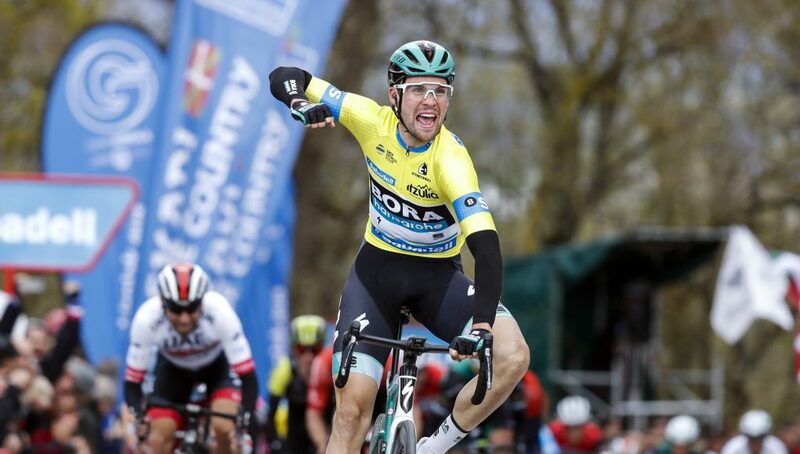 In the last 6 kilometres, there was a crash in the field, in which some favourites were involved including stage 2 winner and second-placed overall Julian Alaphilippe (Deceuninck-Quickstep) and third-placed Michal Kwiatkowski (Team Sky). In the last 500m, Schachmann launched a decisive attack, which none of his rivals were able to keep up with. 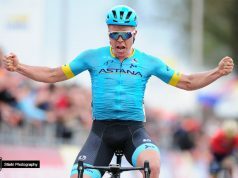 With that, he took a decisive stage victory ahead of Diego Ulissi (UAE Team Emirates) and Enrico Battaglin (Katusha-Alpecin) and further stretched his lead in the general classification. 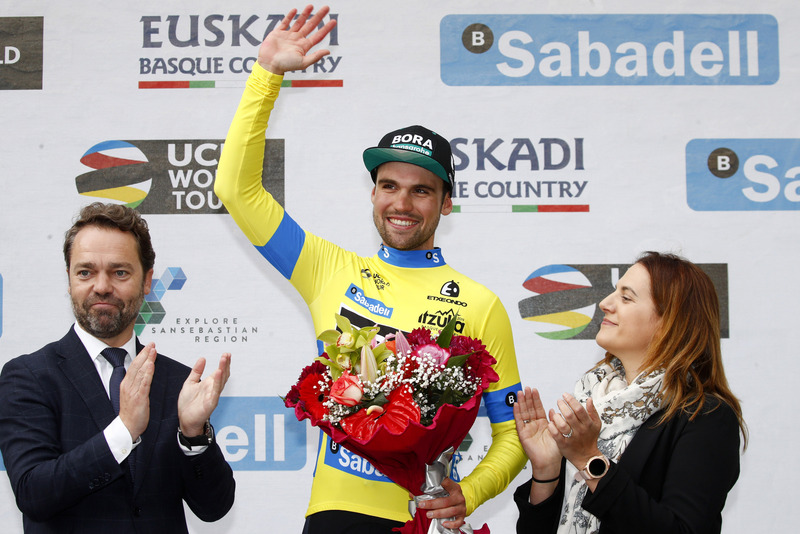 Schachmann now leads both Ion Izagirre Insausti (Astana Pro Team) and Patrick Konrad (Bora-Hansgrohe) by 33″.